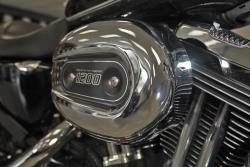 For motorcyclists dedicated to the iconic Harley-Davidson brand—and interested in a guaranteed increase in horsepower and torque—K&N® offers performance-enhancing air intake systems available in multiple styles and finishes for H-D motorcycles, now available and 50-state legal for hundreds of additional models. Protect your engine from most harmful dust, dirt, and contaminants, and reap benefits including a guaranteed increase in horsepower and torque, top-quality engine protection, and robust engine sounds on acceleration. The three major series of K&N® air intakes designed for H-D motorcycles are the RK Series, Aircharger®, and Street Metal™ lines, each meticulously engineered to direct airflow to your engine with increased efficiency—translating to improved performance and an enhanced experience on the pavement. RK Series Intake Systems feature an oversized K&N® High-Flow™ Air Filter, dyno-tuned velocity stack, and integrated breather system—helping to provide a significant increase in airflow and engine performance. RK intake systems fit neatly behind the factory air cleaner cover to maintain a stock appearance, and come in either a standard capacity or large capacity style depending on your performance needs. 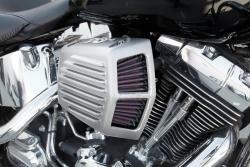 Aircharger® intake systems provide an aggressive appearance and increase in horsepower that you can feel. Featuring either a mandrel-bent aluminum or cast aluminum intake tube and a High-Flow™ Air Filter, each system is designed to improve airflow to the engine while helping defend against harmful contaminants. The kit includes all of the necessary mounting hardware for easy installation. 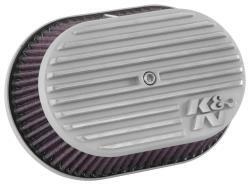 A high-quality aluminum cover and oversized K&N High-Flow™ Air Filter provide the Street Metal™ intake systems with a sleek appearance, while offering enhanced performance through an increase in airflow and excellent engine protection. The original Street Metal™ line comes in various shapes and sizes, offering increased capacity options for performance-minded H-D riders. In addition, two new Street Metal intake system lines are now available—the Shaker and the Sidedraft. Both feature classic good looks, built-in breathers to replace factory breathers, and a built-in dyno-tuned velocity stack—while also providing exceptional contaminant protection and outstanding performance. 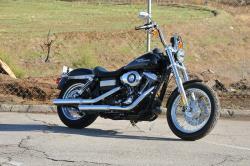 Part numbers for various H-D models are listed below (all 50-state legal). Please visit www.knfilters.com to search for a complete list of products for your model and year. 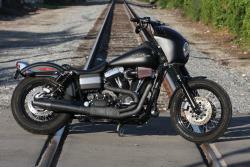 Ultra Classic Electra Glide F/I.